Atlanta Area - Create a Closet That Fits You | Best of Houzz 2018! 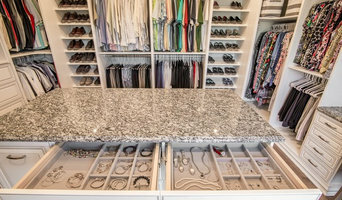 We are a custom closet designers based in Dallas and Atlanta. We will bring the show room to you. Our services come with: Free Consultation Free Installation Lifetime Warranty Affordable Luxury Your closet should be a place where you find things easily. Your closet has a purpose, to start and end your day in an organized manner. Closet Envy offers solutions to conquer any downsides you may have in your closet. 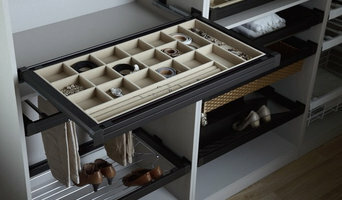 Need more hanging and more drawer space? How much? We find out by taking inventory of your clothing and finding the right amount of space for your belonging. Don’t try to fit a square peg in a round hole, it won’t work. We can devise the space for you in 3-D. It is fun to see your closet and how it will function before you make a commitment. We do all of the work. You enjoy. Before hiring a professional organizer, consider exactly what you need. Have you just moved into a Kennesaw, GA home and have no idea where to put everything? You may want to consider an organizer who specializes in room-by-room space planning or estate organization. Perhaps you’re faced with a tiny closet and an overflowing wardrobe. In that case find a professional who focuses on closets to help you get back on track. Also consider the types of objects that need organization. Are they items like books, family photos, files or collections? You’ll want a professional organizer who has experience designing custom systems with Kennesaw, GA companies that will best fit your needs. Find a professional closet and home organizer on Houzz. 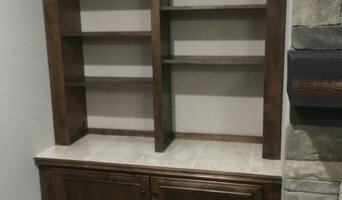 Narrow your search in the Professionals section on Houzz to Kennesaw, GA closets and home organization.